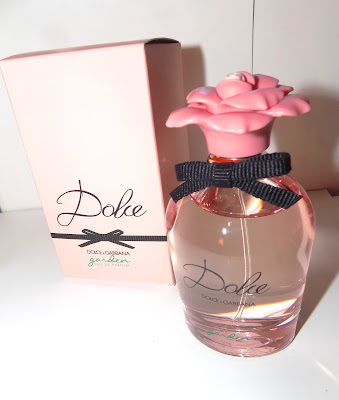 There's a new Dolce in town. 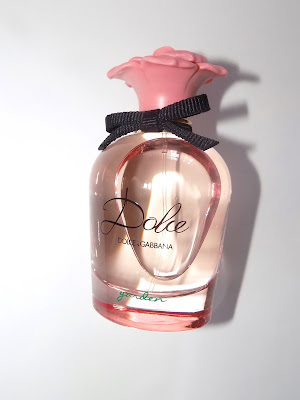 Dolce Garden comes in the familiar and oh so pretty flower petal topped bottle , this time in peachey pink. 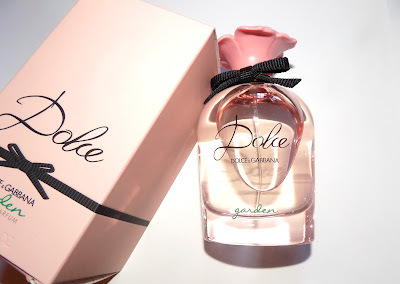 Dolce Garden is mostly a gourmand touched with woods. 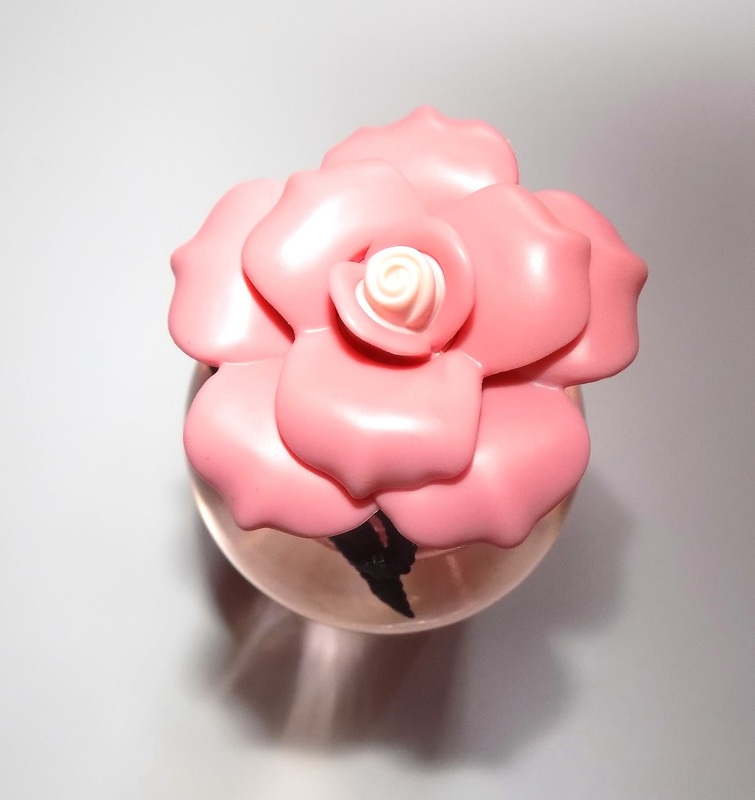 A sharp burst of mandarin is first and then there is lots of coconut dashed with magnolia and neroli. Almond milk , vanilla and sandalwood are all prominent into the drydown. Frangipani is listed as a main inspiration here but I only get the smallest whiff of it. The florals take a backseat to the other notes. It's very creamy, somewhat sweet and reminds a bit of an amaretto cake. Dolce Garden is strong at first, but settles into medium sillage after the drydown. Still noticeable , you'll not want to go heavy on the spritzes with this, but less so than at the beginning.